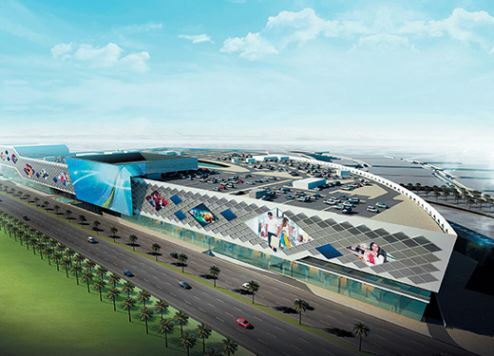 Work on one of Dubai’s latest mega malls, the AED2 billion (US$545 million) Al Khail Avenue development, will start in October, according to developer Nakheel. The company has awarded a construction contract worth AED1.5 billion ($408 million) to UAE-based Dhabi Contracting. Al Khail Avenue will be located alongside Dubai’s Al Khail Road on the edge of the Jumeirah Village Triangle (JVT) community where one of The First Group’s latest hotel development projects, the four-star Millennium Place JVT Dubai is scheduled to open in 2018. The mega mall will feature 350 shops, restaurants, entertainment outlets, and a 252-room hotel. Scheduled for completion in Q1 2019, Al Khail Avenue will also feature a 14-screen Reel Cinemas complex, a Waitrose supermarket and a wide range of fashion, children’s, home and electronics stores. There will also be cafes and restaurants, plus a 4,000-space multi-storey car park that can be accessed directly from Al Khail Road. The new development seeks to cater to the JVT community, which includes more than 13,000 villas, townhouses and apartments spread across 242 hectares, with two schools and other third party residential developments currently under construction. Millennium Place JVT Dubai, which is The First Group’s third dedicated hotel project in Dubai, has been designed with business and leisure guests in mind, with stand-out facilities including two specialty restaurants, a spa, business centre, and a luxurious rooftop clubhouse with swimming pool, gym, steam rooms and a sundeck.